Adult Version of Me: Oh Baby! 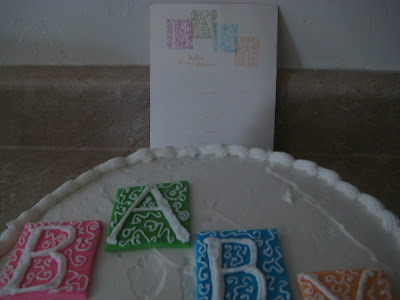 The cake was chocolate with vanilla frosting and the lettering was done with fondant that I colored and then wrote on. The flowers were fondant as well. 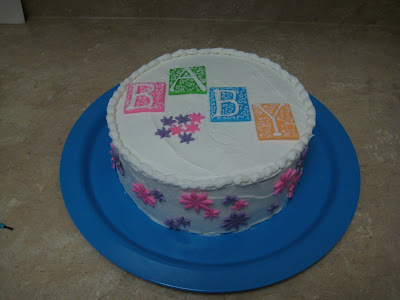 Fondant tastes disgusting but it sure is fun to sculpt and play with:) The cake was a hit and I can't wait to do more!